We work with screws that are the size of the letters on a coin. To get them to sit on the end of a screwdriver can be challenging to say the least. Magnetizing your driver first can make this task much easier. Just rub the end of your bit along the edges of this gadget and your screws will stick just like they do to your project mat. Don't want things sticking to your tools while you work? Just use the "Demagnetize" section and life will be much less frustrating. Working with small parts takes a steady hand, good eyesight and a pair of fine point tweezers. This pair not only has the ability to pick up very small parts but is also non-magnetic and will not conduct electricity. Working with broken glass can be dangerous. While a small cut here and there seems to come with the territory and is easily treatable eye injuries are far more serious. Don't take chances with your sight. Always use eye protection when prying, cutting, or working with glass. There are few things as frustrating as putting a phone back together and finding a fingerprint or dust particles between the lens and LCD. 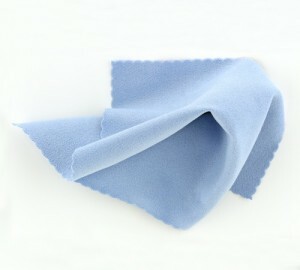 A good polishing cloth can help to assure that your surfaces are clean before you put everything back together. They also come in handy for wiping down the outside of your customers phone before you hand it back to him. 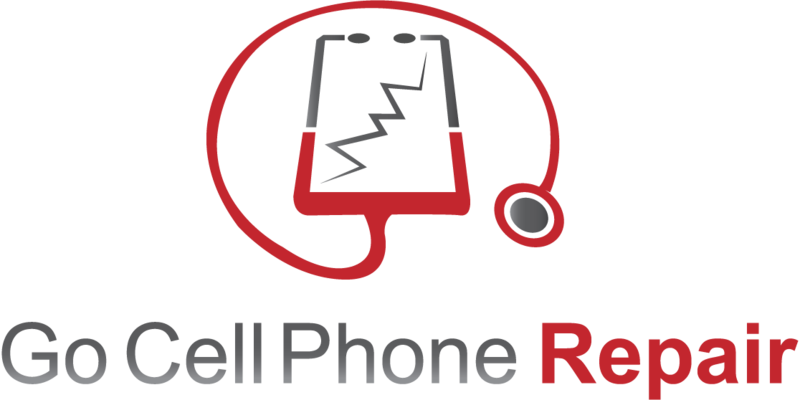 Cleaning the inside of a wet cell phone requires something that evaporates quickly. There are plenty of options for this task. The important thing is that whatever you use does not leave behind anything corrosive. Something like rubbing alcohol along with a soft bristle toothbrush can often remove most if not all of the impurities left behind by water, coffee, sodas, etc. When cleaning a logic board it is important to be gentle. Using an ultra soft brush minimizes the risk of causing additional damage by scrubbing too hard. Easy does it. If you break one of the components off of the board you have done more harm than good. 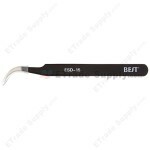 Easy to remove this anti static wrist band makes it easy for you to stay grounded while working with electronics. Need to walk a way for a minute? No problem. Just unsnap the bracelet from the grounding cord an in a split second you are disconnected. With another quick snap you are once again grounded and back to work. I’ve updated the links on this page. The i9500 SIM reader is compatible with the i9500, M919, and i337. Thanks fore the helpful page just wanted to know the diference between a 5x Micro SD Card Reader SIM Tray Holder Flex Cable for Samsung Galaxy S4 i9500 and a regular one with out the 5x since the diference in cost varys .Im trying to fix my galaxy 4s sim card reader Anticipated thanks. 5X is just the quantity. Some people like to buy these in bulk. There are links on this page but make sure that you have the same exact model number as there are a few different 10.1 tabs and the screens are not compatible. Just dropped my Nokia Lumnia 1520 and needless to say the screen shattered. The led looks ok but it does not want to type after keyboard pops up. Wondering if you have any idea what it may cost to fix this problem? I watched your video and will need some tools. Any input or info would be helpful. I’ve updated the links on this page and it looks like at the moment you’d be spending about $200 for the replacement part. You shouldn’t need too many tools just the driver(s) heat gun and something to pry with. Be careful removing the battery. It is really stuck in there and I recently talked to a guy who damaged his in the process and had to replace that too. Other than that I would say that this is moderate when it comes to difficulty level mainly because of the battery adhesive. Good luck and let me know if you have any other questions. Hey man,love this site! Tools,tips,and parts sourcing all-in-one? Brilliant! I’ve got a bit of a stumper regarding a RAZR HD (xt926) that I’ve been en working on. Recently came to regret taking the stock OTA KK updates from VZW, as I immediately began having problems with overheating and battery drain,among other probs. I had recently bought a whole replacement phone from eBay as the original took a 3 foot face plant into gravel,shattering the screen. I began to brainstorm – pop the screen-side off the newer,KK infected phone & put it on the older unit… It was rooted,tho w/a blocked boot loader,on JB still… This could work… And it did! To a point. I now have 2 issues, one minor, the other i fear, major. The minor one is that on both phones I managed to pop the latch off the larger of the 2 cable connectors. As u know, they are very small and as you may or may NOT know, possess the ability of invisibility which they immediately practice when separated from their connector! :). Any chance u can point me to a replacement, maybe even a video or pix allowing me to see how it fits/operates? The big prob came after a day’s use. Suddenly, the screen lost responsiveness… I checked the cables, they appear fully seated, still. I suspect a bad digitizer somehow, tho not sure how. I can’t afford a rep!a cement screen/LCD/digitizer currently, and at the price of just that assembly, I could get a whole new rep!a cement via eBay. I’m not sure of the components, but logic says the digitizer is an element of the ribbon assembly stuck to the back of the LCD. Is it possible to remove that from one unit & place it on the other? Thanks in advance for any help you have for me! Regarding your first question yes I am aware of how those latches can disappear when they pop off of the FFC. They can be replaced but it is never an easy thing to do and if you lost yours you’d most likely have to pull one from another board which of course makes things even more complicated. I don’t know of anyone selling just the latch by itself. We use a microscope when we install them and even then it can be very time consuming for ma lot of people. If you grip it too tightly with your tweezers it will go flying across the room so you have to be very careful. I agree that trying to replace your digitizer is not worth the time and trouble. You are better off getting the whole piece. By the way not installing the latch initially may have led to a damaged digitizer. Those things are there for a reason and if the cables shifts while power is flowing you might short something out. I realize that this doesn’t solve your problem but if you can’t buy a replacement screen and find a way to secure the cables inside I’m afraid you are a bit stuck for the time being. How much will you charge me to solder on a charging cable to an iPad mini motherboard I tried twice and failed and saw your video and know you have the expertise can you do it or put me in contact with someone who can? Do you have a full LCD assembly, with frame, available for purchase? I need a Verizon VS985 in black. I am able to find these, however they are without the Verizon logo. If you do not have that, do you have the screen replacement with all of the tape pre-cut? I only see black available at the moment. I have added it to the Verizon section on this page. I have 2 Samsung S5’s with cracked glass that need to be replaced. I have the kits….can you do the service for me?? If so, what do you charge for the repair?? I need these fixed urgently. Hi Barbara. At this time we only do the complete display replacement for the S5 since glass removal is very risky and compromises the IP rating for this model. I will let you know if that changes. Thanks. Do you guys ship to Mexico? Some of my vendors do and others don’t. Try starting the checkout process and before you pay look at the shipping options. Mike on When, how, and why to use a heat gun. Rodrigo Marcus on When, how, and why to use a heat gun.